Educators are sometimes absent from their classroom. Professional Development, personal days, sick days, emergencies can all cause a teacher to be absent. We need to make sure that our room and lessons are organized so that a substitute can easily run the class and find things. 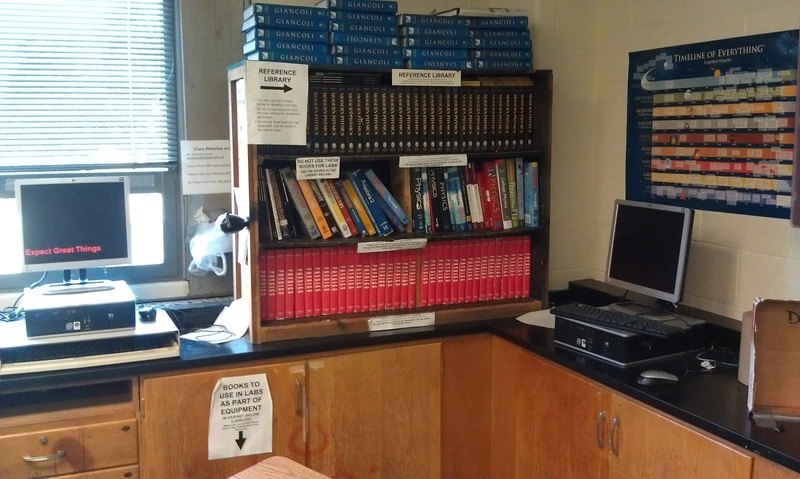 Labeling things in your room is a good idea so that another teacher or the substitute can find things. While you may think your students know where everything is, they don't always. 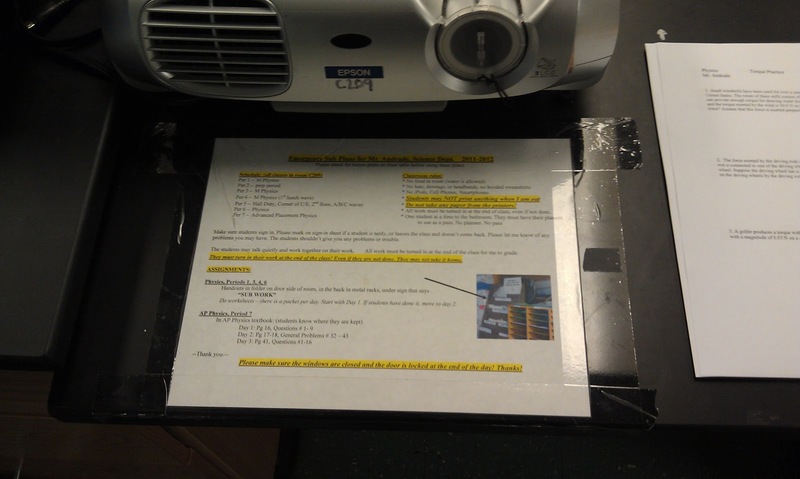 I have signs and labels all over the place to help the students, and anyone else, find things. 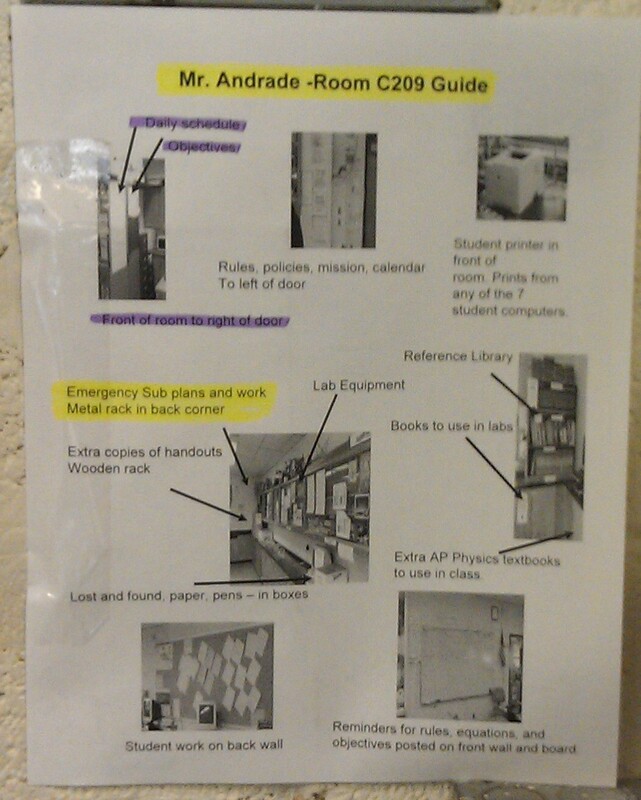 I have a sign near the door with labeled pictures showing where things are in my room, including sub plans, objectives, reference books, and more. Have your substitute plans available in your room. 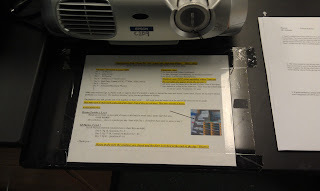 We have our plans in folders in the office, but I have a copy of my emergency plans laminated on my front lab bench so that they are easily found. 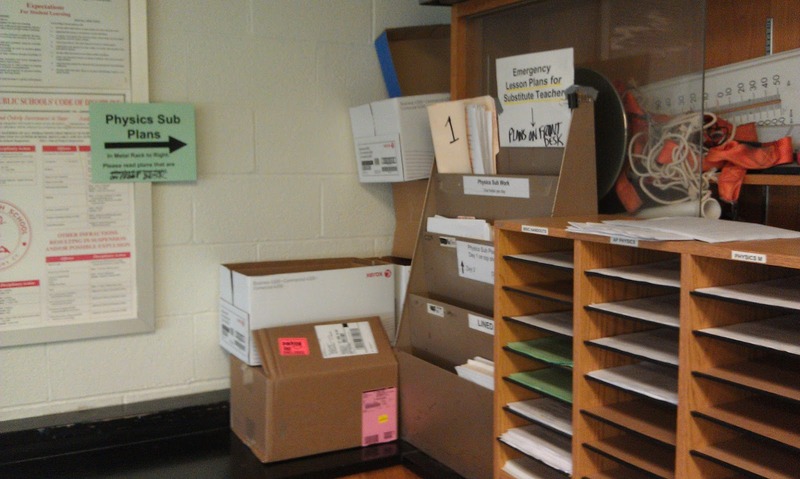 I also have signs pointing to where the emergency student work can be found in the room. It also has the class rules, my schedule, emergency instructions, and other information on it. I printed it in color to highlight certain things, and even have a picture showing exactly where in the room the actual assignments/work is. Many of the science teachers email each other when we are absent so that we can check on the class and assist the sub. 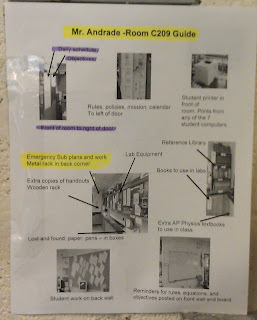 There are posters in the room with the class web site, blog sites, and my email address posted so that students, and the sub, can find these resources when needed. The 7 student computers in my room also allow me to assign more than just worksheets when I am absent. When I know I am going to be absent, I leave instructions printed with the assignments on my front desk, and written on the white board. I let the teacher next door know that I am going to be out. We all check up on each other's classes and assist the subs. Technology can also help. When I was out with a back injury one year, knee surgery one year (the perils of being a Paramedic) and on jury duty, I was able to communicate with my students, my colleagues and even have the students do work that I assigned from home or the courthouse. What do you do to organize your room for when you are absent? See the related articles below for more information.